On April 17, 2019, the United States Supreme Court heard the oral arguments in perhaps the most significant trust case in 100 years: North Carolina Department Of Revenue, Petitioner, V. The Kimberley Rice Kaestner 1992 Family Trust, Respondent. The crux of the Kaestner case is whether the state of North Carolina should be able to constitutionally tax trusts where the only connection to the state is that the beneficiary is a resident. In the state of North Carolina, the taxpayer won throughout the entire court system, but North Carolina appealed successfully to the U.S. Supreme Court. Matthew W. Sawchak, North Carolina Solicitor General, argued on behalf of the Petitioner and David A. O’Neil, Esq., of Debevoise & Plimpton LLP on behalf of the Respondent. In the hour-long arguments, the Justices actively participated, frequently interrupting the counsels. Overall, based on our initial analysis of the transcript, the line of questioning from the majority of the Justices seemed to be slightly more sympathetic to the Respondent. However, there were several times the Justices were challenging the Respondent’s arguments. As always with the Supreme Court, it is difficult to tell the outcome until the decision is published. More Context By Including the Fielding Case? The central argument seems to focus on what is the connection of a trust to a location – trustee, place of administration or the beneficiary. Interestingly, there was no discussion over the location of the grantor – which is the central argument in the Fielding case from Minnesota. We are closely watching to see if SCOTUS will hear Fielding as well providing more context to taxing resident trusts. In this case, there are many ways the court could decide whether to grant for the respondent, rule for the petitioner, or the send the case back to North Carolina for further analysis. We reached out to an estate planning attorney in Minnesota with whom we have been closely monitoring the Fielding case which carries similar trust taxation issues as the Kaestner case. Click here to see our summary of both cases. “The Court took note that the state was essentially asking the Court to overturn 100 years of tax precedent to reach the conclusion that the beneficiaries residence alone should determine. It is essentially a personal jurisdiction question. Who owns the trust assets? When do they own the trust assets? Traditionally, it has always been the trustee and not the beneficiaries. “This is analogous to the legal fiction that a corporation is a person. A corporation is a separate person from the shareholders. The shareholders ultimately benefit from the economic activity, but the corporation is separately taxed and has separate legal character. The same principle applies here but is even more powerful. “Because there is an actual person there: the trustee. The beneficiaries may ultimately benefit, but the ownership is held in the personhood of the trustee. “Discretionary trusts further embody this. The court seemed to look to this ownership question: When does the beneficiary own the property? “It’s when they control the property. Just like when stock options and incentives vest. The Court focused on this question. Based on the arguments, we were pleased that the Court seems to be settling in that this is a Due Process case (and not a Commerce Clause case) and seems to be set on deciding either way based on the arguments. Our expectation, given the arguments, is that we don’t think the Court will give practitioners broad constitutional direction on all state trust taxation laws, but narrower guidance on the taxation of beneficiaries. It is possible that the Court could solely rule regarding the taxation of discretionary trusts as the arguments centered around them. It would not be unreasonable for the court to opine that current state income taxation of undistributed trust income would be unconstitutional, but throw-back taxes would be permissible. A combination of a narrow ruling on Kaestner and the Court not granting a writ of certiorari on Fielding could lead to an interesting situation for practitioners. Furthermore, given the discussion surrounding adjudication v. taxation, it will be interesting to see whether the Court’s opinion will impact out-of-state asset protection trusts, specifically states’ arguments over jurisdiction of trusts. Below, we highlight some of the exchanges and questions from the discussion yesterday. For those who are interested in the full transcript, it is 69 pages. You may check the transcript out here. All text within quotations is taken from the SCOTUS transcript linked above. Justice Breyer had one of the most extended remarks from Mr. Sawchak: “Look, the trustee lives in New York, okay? The settlor is in New York. All the administration is in New York. There is one thing that’s going to happen in North Carolina. The thing that’s going to happen in North Carolina is if she is there when it’s distributed, she’ll get some money. Okay? Which you’re totally free to tax. But that isn’t what want to tax. You want to tax all these things which are everyone except her is in New York, and moreover, we don’t even know if she’ll ever get the money. “Now there’s something wrong with that. I don’t know, it doesn’t say specifically about trusts in the Constitution, but, thus, I mean, lots of trusts say there are 10 beneficiaries, each one lives in a different state, and I, the trustee, have total discretion as to who give this money to and maybe I’ll give it to none of them. Justice Sotomayor’s line of questioning is asking whether unequal state taxation could be interpreted as potentially changing the settlor’s intent and if the trustee needs to take that into account in distribution decisions. Justice Sotomayor: “No, there is something in the trust instrument here. The trust instrument says that the trustee has absolute discretion to give her something or nothing, to give three people–I think there’s two or three children; I don’t know how many there are here, but let’s assume there’s four of them, her and three children, for using even numbers. Justice Kavanaugh: “If –I thought we didn’t need to answer the question raised by Justice Kagan’s previous hypothetical, and just raised by you, which is, if we did know, in other words, if it were guaranteed or certain, that might or might not be a different case. Could states impose throw-back taxes as the Federal Government does with offshore trusts? Mr. O’Neil later said: “I’d like to just focus, if I could, on the –on the point of the throw-back tax because I do think –I do think it is an answer to why –to the state’s concern about all of the potential loss of revenue that it may –may –may lose out on here. Alliance Trust Company of Nevada will continue to monitor this case very closely. Why Are Asset Protection Trusts Popular in California but not Minnesota? Alliance Trust Company of Nevada is partnering with BlackRock and Redden Law to host a Breakfast Event for a discussion on Asset Protection in Minnesota: From market to legal risks; Who is at risk and for how much? ; Is it true that a creditor can seize my car for $4,600? ; My IRA for $69,000? Our expert panel will lead a lively discussion. Market outlook and investment implications of balancing risk and reward – What can I do to protect myself? What other risks are impacting my wealth – Is it true that a creditor can seize my brand-new Suburban for $4,600? What about my IRA or my house? Brian Weverbergh, CIMA® is a Market Leader with BlackRock. He serves financial advisors in the states of Minnesota, North Dakota and South Dakota. Prior to joining the firm in 2016, he was a Regional Vice President for Allianz Global Investors based in Minneapolis, MN. Mr. Weverbergh earned the Certified Investment Management Analyst (CIMA®) designation through the Investment Management Consultants Association in conjunction with the Yale School of Management. He earned a B.S. in Business Administration with a concentration in Finance from Ithaca College. Michael Redden is a veteran of the United States Air Force. He served as an Intelligence Analyst with the 31 FW in Aviano, Italy. After the Air Force, Michael returned to Minnesota where he attended law school at Hamline University School of Law. Michael lives in New Hope with his wife and four sons while coaching youth wrestling. In the past, Michael worked at Prudential Insurance Company of America where he helped clients of the company protect their assets. While at Prudential, Michael was a registered representative of Pruco Securities and held his Series 6 and Series 63 securities designations. Michael has a passion for helping licensed professionals preserve their wealth for the next generation. Since tort reform is unlikely, it is more important than ever to have a plan to protect your wealth from lawsuits. He has also served as an independent Trustee/fiduciary in the past. Michael’s practice has a special focus on Integrated Estate Planning. 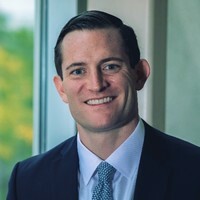 He combines effective Asset Protection techniques with other Estate Planning strategies in order to protect the assets of individuals and businesses from lawsuits. As president of Alliance Trust Company of Nevada, Gregory E. Crawford develops strategy, drives growth, and oversees operations. For two decades, Greg has designed and implemented asset management and asset protection plans for multi-generational families in the United States and abroad for some of the largest institutions in the world. This work involves comprehensive financial planning, portfolio design, business entity structure strategy, and sophisticated estate planning techniques. Greg is a regular speaker on the benefits and advantages of Nevada trust situs at law school conferences around the country. A native of Menlo Park, California, Greg holds a Bachelor of Arts from the University of California, Davis, and a Master of Health Administration from the University of Minnesota. 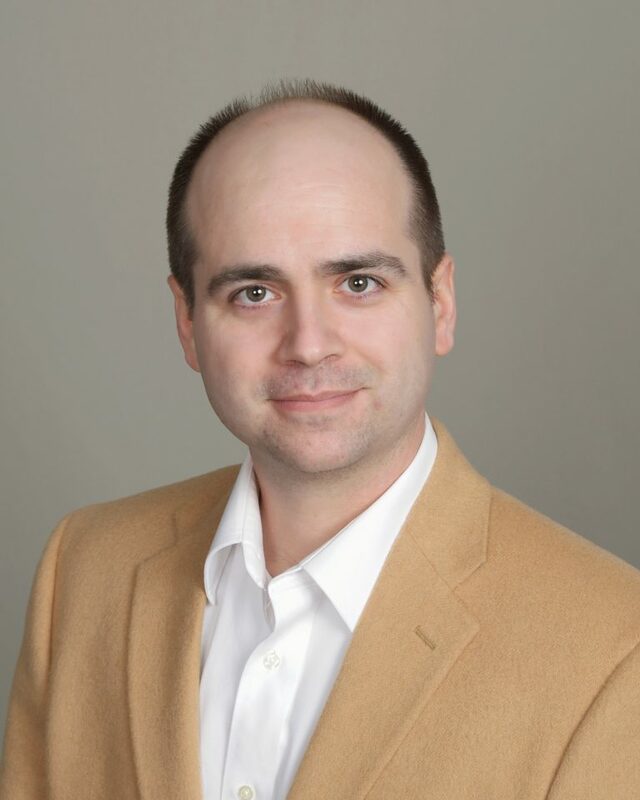 Greg is certified in financial planning by Boston University and is a Registered Trust and Estate Practitioner and a Certified Financial Planner. Mr. Crawford has regularly been quoted in publications such as The Wall Street Journal, The New York Times, The Financial Times of London, and has appeared as an on-air expert on CNBC, Bloomberg and ABC World News Tonight. Greg has lived in Reno since 2000 and is married with two children. He is a member of Our Lady of the Snows Catholic Church, the Reno Angels Investor Group, the Entrepreneur’s Organization, Reno Sunrise Rotary, and the Reno Tahoe Winter Games Coalition. Can Incomplete Non-Grantor Trusts (INGs) Really Save Wealthy Californians Money on SALT? Taxpayers could be scrambling after the Federal Tax Reform passed at the end of 2018 capping state and local income tax (SALT) deductions at $10,000. For many wealthy families in high-tax states, this deduction will only cover property tax and won’t touch capital gain income or other investment income. While California is attempting to pass the Protect California Taxpayers Act which allows taxpayers to deduct some taxes as “charitable contributions,” for many the bill feels like a workaround or even tax evasion, and it’s unclear whether the IRS will allow such a bill to pass. Rather than waiting for legislation to pass that is more protective of taxpayers, many residents from states like California are considering leaving the state or taking other measures to protect their wealth. Moving out-of-state is not a feasible option for many. However, moving assets out of a high-tax state may be an ideal solution. Traditionally, grantors gift away income-generating investments to beneficiaries who live in tax-favored states. However, these gifts often incur federal gift tax or utilize some of the grantor’s exclusion for a gift and estate tax. A newer option is the NING trust or Nevada Incomplete Gift Non-Grantor Trust. There are several tax-sheltered states in the U.S., but only a few allow Incomplete Gift Non-Grantor Trusts and the most tax-favored state for such a trust is Nevada. The NING allows a trust to avoid taxation by the grantor’s home state until assets are distributed, or, rather, the gift is complete. By transferring assets into a NING, the assets become a separate taxpayer receiving the tax benefits of Nevada. Because transfers are not completed gifts, there is no federal gift tax exclusion. For those who live in high-income tax states, such as California, establishing a NING to transfer some of the tax burdens to Nevada allows them to take advantage of Nevada’s no income tax benefit. Additionally, Nevada has the most robust creditor protection and protection as its considered a “spendthrift trust” in Nevada. Nevada also has tested protection from divorcing spouses which has held up in Nevada Supreme Court with Klabacka v. Nelson. An ING trust only works in a state with no state income tax. Otherwise, a tax will apply to the trust. Nevada is the preferred state for an ING trust as it carries many other protections and benefits to grantors and beneficiaries. ING trusts cannot be grantor trusts under the income tax laws of the grantor’s state of residence. Only states that allow self-settled spendthrift trusts (asset protection trusts) can form non-grantor trusts enabling the settlor to be a beneficiary, such as Nevada. The incomplete gift portion of the ING trust is critical to ensure that the contributions to the trust are not treated as a gift and subject to federal gift tax. It’s essential for the settlor to have lifetime power of appointment and post-death power – which the ING trust allows. NING trusts will be subject to federal estate tax when the settlor dies, however, if the estate is not large enough to trigger federal estate tax, this is not an issue. Although a NING has many benefits, the benefits may not be for every grantor. Here are some of the criteria which would make someone a good candidate for a NING trust. Grantor lives in a high-income state – such as California. Grantor carries intangible assets with substantial tax exposure. Grantors in the highest federal tax bracket who would remain in that bracket after transferring assets to a NING. Should YOU Establish a NING? NING trusts can be an excellent option for those looking to preserve wealth and protect it from their state’s high tax rates. Since changes to SALT are recent, there are still some questions about how the IRS will respond to attempts to shield wealth from taxes. However, the NING appears to be the best option to do so. It’s important to work with a trusted advisory team or trust company that is familiar with Nevada Tax Law and NINGs to ensure it’s the right choice for your family and that you’re gaining the most benefit possible. At Alliance Trust Company, we’re experts in Nevada Trust Law and have a network of attorneys specializing in NINGs. We are available to walk you through your particular situation regarding NINGs. Contact us to learn more about preserving your wealth in the state of Nevada. Over 225 attendees and 22 exhibiting companies came together at the Fashion Island Hotel in Newport Beach, CA for the Orange County Chapter of STEP’s 8th Annual Institute On Tax, Estate Planning, and the World Economy on February 4-5, 2019. After a very disappointing Super Bowl on Sunday, the conference kicked off on Monday morning in rainy Southern California. Discussions covered the changes in tax law, including Opportunity Zone Funds, domestic asset protection, and international issues. Despite the problems in Washington, D.C., the U.S. is still being viewed as an attractive bastion for foreign families given its stability, attractive investment climate, and other benefits. After the welcoming remarks, Read Moore of McDermott Will & Emery began with a discussion on taxation of trusts with foreign implications. Moore mentioned the differences between trust laws between the U.S. and foreign countries and the challenges these differences could pose. In such cases, the legal environment should be carefully analyzed including the tax situation of both countries in order to recommend the right structure for each client. Colleen Barney, a partner at Albrecht & Barney discussed life insurance and ILIT trusts and noted that her practice had gone from 100 ILIT trusts a year before the 2017 tax law change to just 10 a year. She highlighted that the Crummey notices are actually not required by case law, the only part that is required is the ability of the beneficiary to be able to withdraw the funds within a reasonable time, whether they are actually aware of it or not. She also discussed items that can be made to make ILITs more flexible, such as trust protector features. Lawrence P. Katzenstein, a partner at Thompson Coburn, covered charitable planning under the Tax Cuts and Jobs Act. He discussed strategies, such as the bunching of deductions, to breach the new standard deduction in some years. Katzenstein also went over the new section 4943(g) (the Paul Newman rule) and how foundations are no longer required to dispose of companies under certain circumstances. Andrew M. Katzenstein, a partner at Proskauer, highlighted how the unified credit will ultimately come down from the current $11.2m in 2025 or earlier, depending on how the politics will play out in the early 2020s. Katzenstein recommends that clients start using it now before it is gone. He also discussed Qualified Opportunity Zone Funds and the importance of clients carefully analyzing the underlying investments over the tax benefits, which can be worthless in a bad investment scenario. It’s suggested to carefully analyze the income tax benefit vs. estate taxes. The Honorable James P. Gray (Ret. ), a mediator for ADR Services, talked over lunch about how minimizing surprises and overcommunicating within families can resolve many conflicts before they arise. Families can use strategies such as family meetings and neutral accountants pre-death to reduce family conflicts at a very difficult time for everyone. Enrique Hernandez-Pulido, a partner at Procopio, discussed high net-worth Mexican families and the complexities surrounding their situations with first, second, and third generations being a mix of citizenships between U.S. and Mexico. Hernandez-Pulido covered the surrounding tax and estate planning strategies, including the fact that Mexico has no inheritance tax for Mexican residents, but 25% tax if a Mexican resident inherits from a U.S. trust. This could put a lot of pressure on advisors to make sure they stay updated on family movements and employ the right strategies. The new post-election climate, Common Reporting Standards (CRS), privacy needs, and potential new inheritance tax keep wealthy families in Mexico interested in US structures. Jay D. Adkisson, a partner at Riser Adkisson, capped off the first day with a creditor’s view on asset protection trusts and his approach to pursuing them. Adkisson’s approach can include private investigators, finding debtor’s pressure points, and pursuing fraudulent conveyance as a strategy. Leigh Harter, Managing Director at NFP Insurance Solutions started Tuesday morning off with a discussion on life insurance as a portfolio stabilization tool. Harter spoke with Paul S. Lee, Global Fiduciary Strategist at Northern Trust, about Qualified Small Business Stock (QSBS) strategies for business owners. Joseph A. Field, Senior Counsel at Pillsbury, discussed the history of FATCA and how it gave rise to CRS, and the 3,200 bilateral agreements the 110 nations have put in place. Field explained that the U.S. is not a signatory and is leading to capital being moved from across the world to the U.S. Additionally, CRS is not balancing privacy vs. transparency but has almost reached Orwellian proportions. Field also discussed the new OECD initiative that would criminalize advising clients avoiding CRS and its chilling impact on advisors. He highlighted the attractiveness of the U.S., given our stability (despite the political climate in D.C.), the world’s largest investment market, the school system, inexpensive real estate vs. Europe and Asia, a favorable tax system for foreigners, and how to structure around some of the pitfalls. He ended his chat with a question: If advisors need to police their clients, shouldn’t they have a gun and a badge? Justin Miller, National Wealth Strategist at BNY Mellon talked about how successful families (think Rothchilds) vs. unsuccessful (think Vanderbilts) transfer not only wealth but values to next generations. Most families are adept at transferring financial capital but struggle with non-financial capital (think family values) which leads to significant loss of financial capital by the third generation. Strategies such as having a team of advisors that work together, good investment advice, smart tax planning, and most importantly a focus on family governance and giving, lead to family harmony and success for future generations. Steven J. Oshins, a partner at Oshins & Associates, discussed selecting the best jurisdiction for Domestic Asset Protection Trusts, and how they work for the 17 states that have enacted DAPT statutes, but not for the other 33 states. A hybrid structure with third-party beneficiaries is superior in many cases and Oshins discussed how they can be structured to still provide flexibility for grantors and their families. Oshins also talked about how after 20+ years of DAPTs, there still isn’t a case that has pierced the trust in a non-fraudulent situation, and how DAPTs are leading to quick settlements, which is preferable to long litigation for most clients. The conference wrapped up with Robert Keebler, a partner at Keebler & Associates, discussing the Impact of the IRC Section 199A Deduction on Estate Planning. Overall, the two-day conference was well-attended, informative, and successful and the content of each presentation was very well received by the attendees. 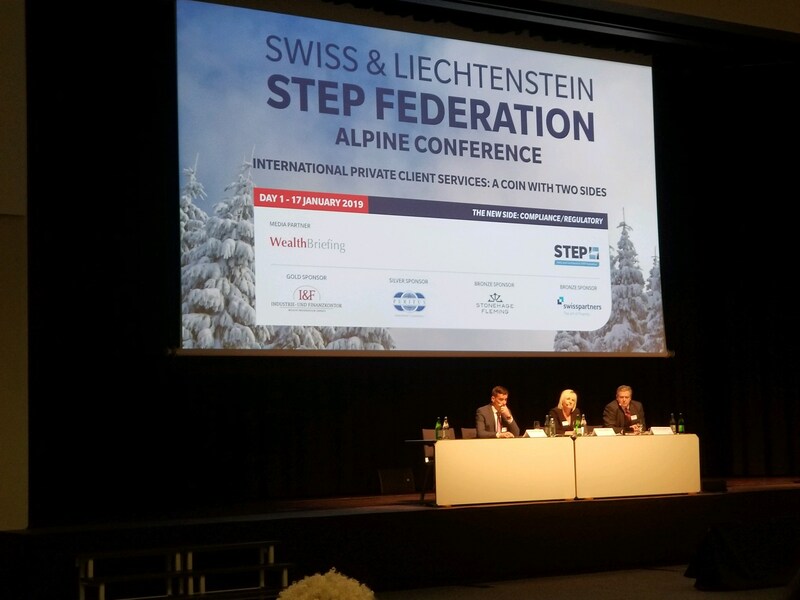 For additional details from the 2019 STEP OC Conference or to learn more about the benefits of Nevada’s trust structures, contact us today. The state of Nevada has dominated the asset protection space and positioned itself as the most beneficial situs to establish an asset protection trust. Precedent-setting cases and favorable trust laws have launched Nevada to the forefront of the estate planning industry and allowing trustees and estate planners flexibility, privacy, and the power to protect wealth and assets more securely than any other state. Nevada’s trust advantages continue to grow and have edged out other states with similar trust provisions. Here are some of the ways that Nevada takes asset protection measures further. Nevada carries no state or corporate income tax. Federal taxes take a significant chunk out of trusts and returns made on assets so establishing a trust in a state with no income tax can help preserve a large portion of wealth. Nevada carries no state or corporate income tax, protecting your wealth from additional taxes and allowing it more unhindered growth. Every state carries a different statute of limitations ranging from 1.5 years to 5 years. While Nevada carries a two-year statute, the language in the Nevada code reinforces that trusts are actually still protected during the two-year seasoning period. Zero exception creditors, including divorcing spouses. In the recent case of Klabacka vs. Nelson, Nevada sets a new precedent that its asset protection laws are the most robust in the nation. In a similar case in Delaware, the courts sided with the divorcing spouse, weakening the state’s asset protection laws. The grantor is able to name an independent financial advisor to manage trust funds. Anyone can take advantage of Nevada’s favorable trust laws as grantors can name a Nevada resident or a Nevada trust company as trustee or co-trustee, this includes international families and businesses as well as domestic families. Nevada Asset Protection Trusts are irrevocable but flexible. In Nevada, the trust settlor is allowed to make decisions regarding powers related to managing the Nevada Domestic Asset Protection Trust (NDAPT). Though the term irrevocable sounds final, in Nevada, there is actually a great deal of flexibility in these trusts. What is a Nevada Asset Protection Trust? Simply put, an asset protection trust limits creditor access to the value of the beneficiary’s interest in the trust. The asset protection trust protects the value of the assets and legally protects them from lawsuits and other claims. Nevada Asset Protection Trusts have proven their strength, holding up in court most recently in the case of Klabacka v Nelson, 133 Nev. Adv. Op. (May25, 2017): Nevada DAPT Protects Against Spousal/Child Support Claims. In this case, a divorcing spouse sought access to her ex-husbands self-settled spendthrift trust and the courts sided with the trust. All alimony, child support, and other claims on the trust had to be taken from liquid assets outside of the trust. The decision in the Klabacka case reaffirmed Nevada’s asset protection strength as other states are scrambling to keep up. While other states may defer to Nevada’s ruling in the Klabacka case, that is far from a guarantee. Nevada Residency is not required. If your trust is established in Nevada you may live anywhere in the world and take advantage of Nevada’s many trust benefits. Nevada also fully protects personal privacy. Alliance Trust Company of Nevada helps people take full advantage of Nevada’s trust laws and may serve as independent trustee if the grantor is out of state. We’re available to answer any questions regarding Nevada Asset Protection. Choosing the right trust strategy to protect your assets is an important and often complex decision. Dynasty trusts are a great option when you need to hold assets for generations, and they minimize or even eliminate many taxes associated with trusts including distribution, estate, inheritance, transfer and more. Once you’ve decided that a Dynasty Trust is right for you, the next most important decision is where you should establish your trust. Both Nevada and Delaware are considered some of the best places to establish a trust to take full advantage of friendly trust laws, because of precedents set in both Nevada and Delaware, Nevada is often considered the better choice. If you’re feeling unsure about establishing a Nevada Dynasty Trust, here are five reasons why it’s the best choice to care for your family for generations to come. Nevada has long paved the way when it comes to friendly trust laws. Moreover, several recent cases proved the state’s protection laws are second to none. In the case of Klaback v Nelson, 133 Nev. Adv. Op. (May25, 2017): Nevada DAPT Protects Against Spousal/Child Support Claims, the Nevada courts moved to protect Eric L. Nelson’s trust from the mandated $800,000 his estranged wife was seeking in child support and alimony, choosing to allow Nelson to fulfill these obligations out of his liquid assets. In the Matter of Daniel Kloiber Dynasty Trust u/a/d December 20, 2002 (Court of chancery of Delaware), an ex-spouse was granted access to a Delaware Dynasty trust, effectively weakening the state of Delaware’s trust laws and further establishing Nevada as the superior choice. Currently, Nevada has the most current and robust precedents set to protect assets while still protecting those affected by life events such as divorce, especially in the case of a Nevada Dynasty Trust with the potential to last up to 365 years. With a Nevada Dynasty Trust, your assets will only be taxed at the estate level once with the federal gift/estate tax or lifetime exemption upon transfer into the trust. The Nevada Dynasty Trust allows you to allocate a generation-skipping-transfer tax exemption which is a powerful way to limit estate tax liabilities, sometimes even eliminating them altogether. Due to the nature of the Nevada Dynasty Trust, these tax benefits are provided for an extended period of time. Nevada’s seasoning period is one of the shortest in the United States. The statute of limitations during this vesting period is just two years on asset transfers to self-settled spendthrift trusts (domestic asset protection trusts). During the seasoning period, your assets are not under the full protection of the dynasty trust. For this reason, a short seasoning period is essential to ensure the security of your assets as quickly as possible. However, the burden of proof that creditors would have to provide to gain access to your trust during the seasoning period is quite challenging in the state of Nevada – another benefit to those looking to establish a trust in the state. Trust decanting is a term taken from wine decanting in which wine is transferred from one container to another, leaving the undesirable sediment behind. With trust decanting, the terms of the trust are changeable after it has been established. Trust decanting allows trustees to keep aspects of the trust that are still beneficial while leaving old trust provisions which are no longer wanted, needed, or relevant behind. Nevada allows for trust decanting without the need for court approval, which can be expensive, or notice to the beneficiaries. An important consideration as you prepare to set up your Nevada Dynasty Trust is the use of an independent corporate trustee. Because Dynasty trusts can last hundreds of years, it’s advisable to put an independent corporate trustee in place to avoid needing to transfer trustees due to death or unforeseen circumstances. Alliance Trust Company of Nevada is a trusted and qualified institution and is available to serve as trustee, directed trustee, or many other capacities if you choose to establish your trust in the state of Nevada.